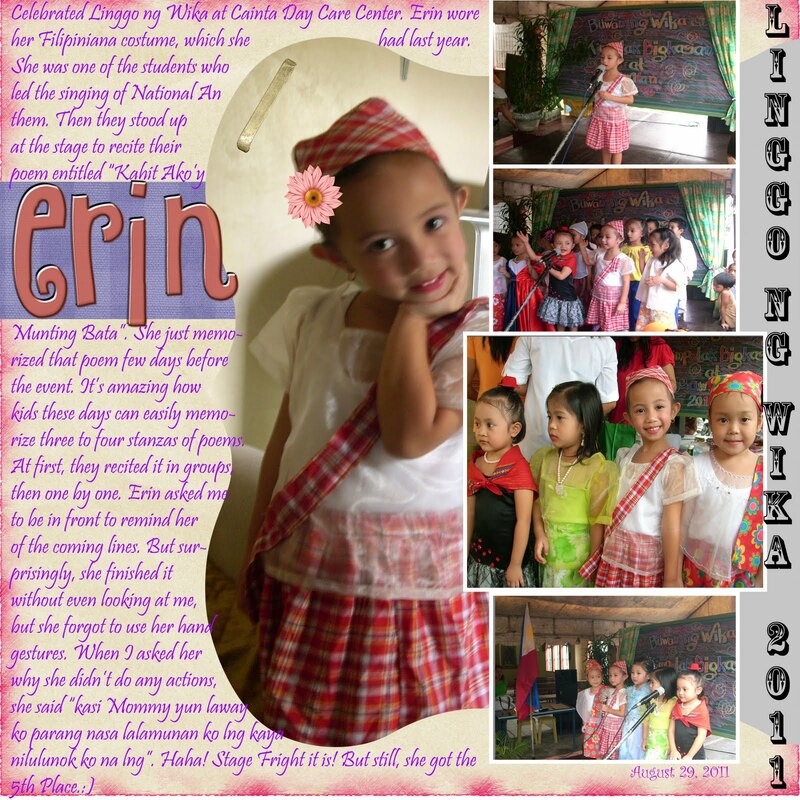 I wanted to feature my two children's digitally scrapped photos of their Linggo ng Wika celebration but doing Erin's layout ate up a lot of my time. Thankfully, I had downloaded this neat and simple Quick Page from No Reimer Reason and tada! 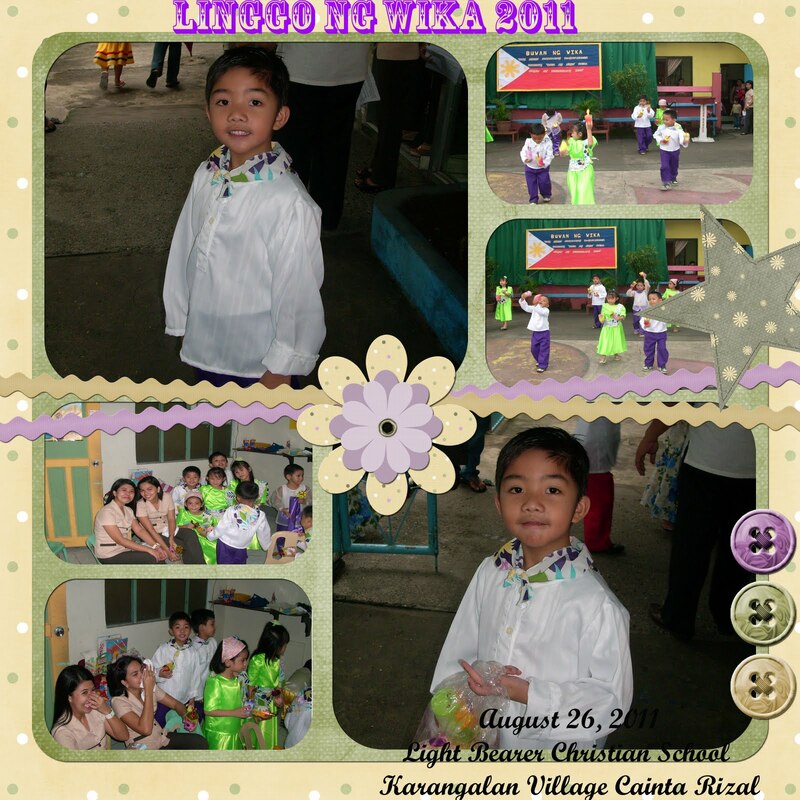 That was my eldest son in his Pandanggo sa Ilaw costume. I had few pictures of him during the event because I had with me my super hyper youngest daughter Cien. 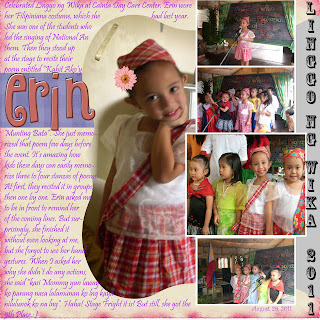 I had videos of their presentation though which reminded me that I have to do some CD burning after making this post. I make it a point to have back ups on CD/DVD of my children's videos recorded through my mobile phone since I only have 2gb memory card in it. That's good .. Your post is really inspiring.